We are a group of Real Estate Professionals that want the ability to share all forms of property brokering in a whole new way to our area. Our floor room is an example of how different we are. 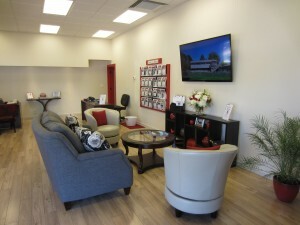 Our goal is to make the consumer comfortable with a storefront that invites the public in to familiarize themselves with all aspects of a real estate transaction while being in an atmosphere where one feels like they are at home. The environment of our floor room is one that the consumer will have the opportunity to learn how to search the internet for properties while having information on hand regarding lenders, title companies, movers, inspectors and even home building and remodeling information. All of this is available for the public through the Real Estate Store at no cost. Our professional agents are there to empower you with all the latest and up to date information regarding all aspects of Real Estate. Agents are available for consultation in the following. Our Agents are experts in many fields. We feel continuing education in our field makes us more informed and keeps you the consumer on the cutting edge of Real Estate. Our agents have designation and expertise that create confidence that you the consumer will need in your real estate transactions. The designations of many include GRI (Graduate Realtor Institute), SFR (Short Sales and Foreclosure Resource), SRES (Senior Real Estate Specialist) while all being REALTORS and abiding by the ethics of the National Board of Realtors. Our expertise makes us the buyers and sellers choice for listing your property as well as finding property for all types of buyers. 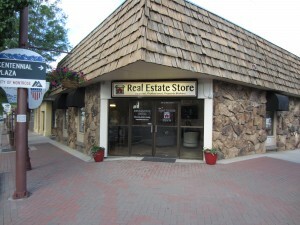 The Real Estate Store is ready to serve. Call our expert, efficient and experienced agents for your real estate needs. Or, better yet… Come into The Real Estate Store in historic downtown Montrose and feel the difference. 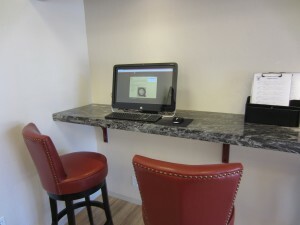 You will be surprise by how easy it is to get reliable information in a very comfortable atmosphere.